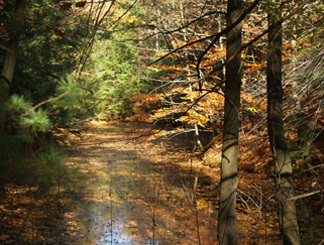 Montague Township is proud to have four fantastic parks within its borders, all open to the entire community for free. From soccer and softball fields, to hiking and biking trails through beautiful woods, we have a lot to offer! 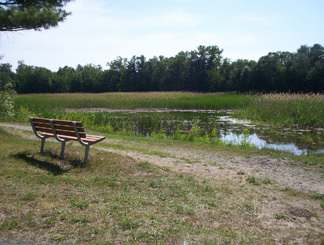 Montague Township Park is located at the corner of Hancock & Whitbeck Roads. This is our sports complex, featuring soccer fields, basketball courts, a volleyball court, 2 softball fields, shuffleboard courts, 2 large picnic pavilions with large grills, and kids playground equipment. Pavilion Rental: The township park has 2 pavilions available for rental to township residents. To rent a pavilion, contact the Township Clerk at 231-894-5920, or click here for more information. 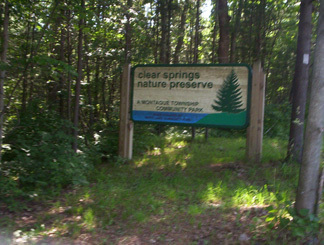 Clear Springs Nature Preserve is located off Fruitvale Road, just east of Business and Expressway US31. 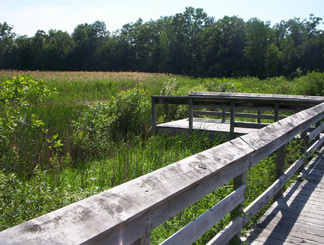 This is a 100 acre nature preserve for hiking, dog walking, trail jogging, canoeing in small ponds, picnicking with families. A unique terrain offers beautiful scenic views and small hills for hiking. Great Lakes Logging was recently hired to cut down all the dead red pine, which were diseased by the red pine bore. Unfortunately, vandalism has struck CSNP again, with someone breaking our donation box. Henderson Road Nature Center & Disc Golf Course is located 1/2 mile North of Clear Springs Nature Preserve on Henderson Road. This is a flat and level park, with a small lake, surrounded by a 7/10ths of a mile long dolomite bike path, which is good for wheelchairs and bikes. There are two picnic pavilions on site with a hand-pump water well. The local disc golf club, Whitehall Disc Golf, hosts a challenging 18-hole disc golf course through an Oak forest. It’s FREE to play! » Click Here to View Photos! Location: On Henderson Road, about 1/2 mile North of Fruitvale Road. 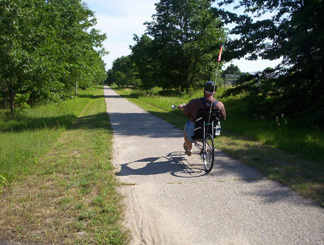 Montague Township is also proud to host 3 full miles of the Hart-Montague Rail Trail bicycle path within our boundaries. Tuesdays 10 a.m. - 4 p.m.
M, W, Th, F – Please leave a message on the Twp Hall phone or contact us directly at our home offices.